Truffle hunting: an intense, risky treasure quest requiring skill and instinct, traditionally shared by both Italian men and wild female pigs. (For culinary enjoyment and out of mistaken identity during mating season, respectively). 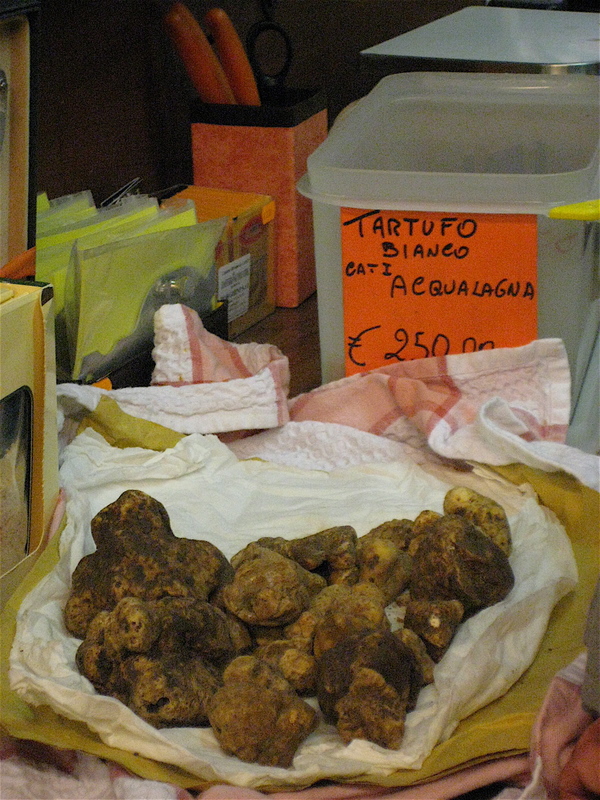 Upon unearthing these treasures, the truffle hunter can sell each truffle for approximately 250 euros per 100 grams in Italy. In 2006, a wealthy businessman from Hong Kong purchased the most expensive truffle in the world at $160,406– an Italian white truffle weighing in at 3.3 pounds. Truffles are prized for their strong, unique flavor that infuse naturally with other ingredients and enhance any dish. They require several years to grow undisturbed in the root systems of oak, pine, or beech trees, before they are found by trained truffle hunting dogs that can also cost several thousand dollars. 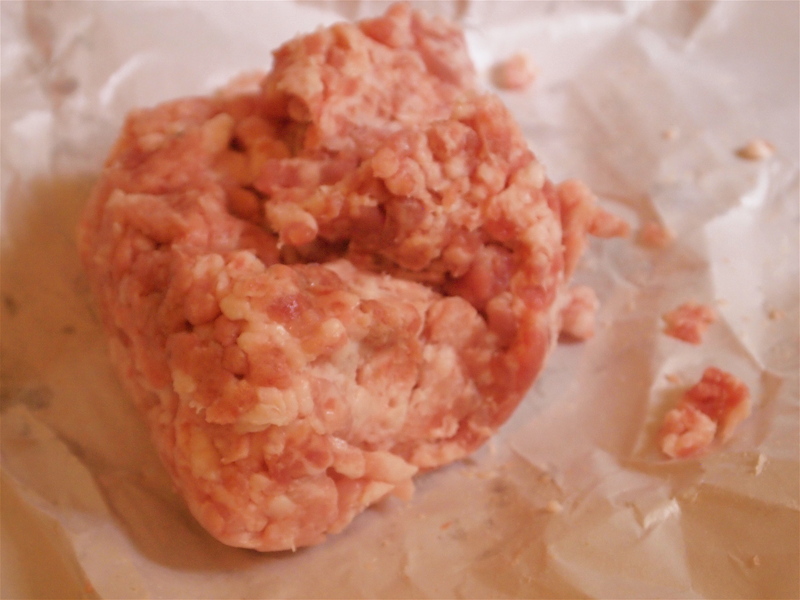 Truffles were traditionally hunted by wild female pigs who confused the strong scent for that of a boar. But because pigs are essentially un-trainable, dangerous, and end up destroying many delicate root systems, dogs make much better truffle-hunting companions. 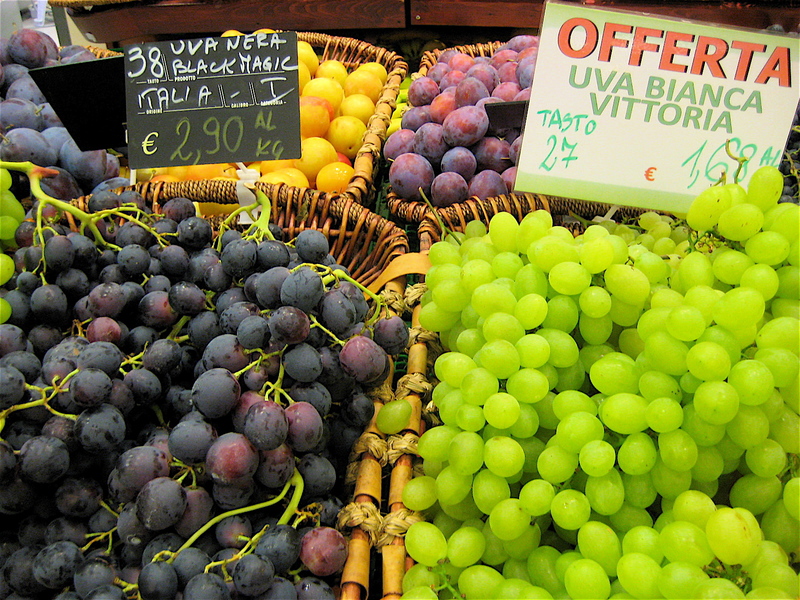 Going to an Italian fresh food market for the first time can be a daunting experience. 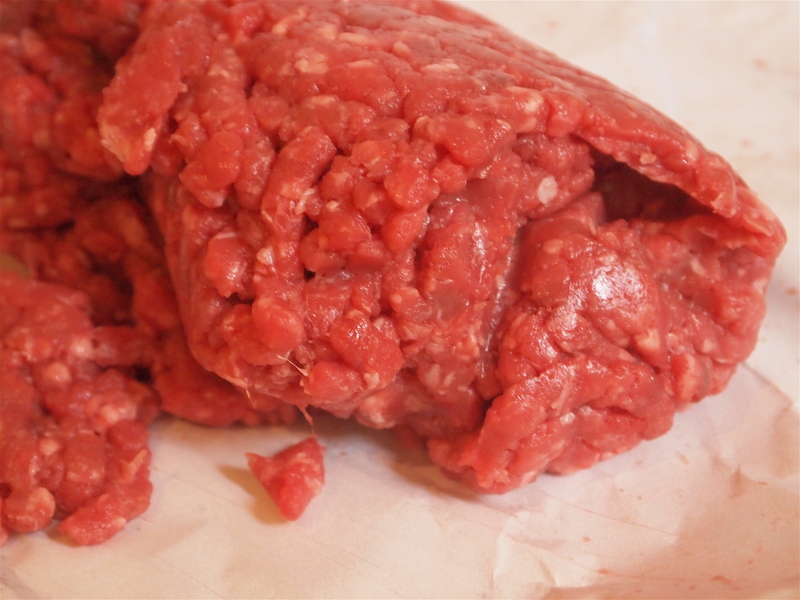 Regulars trade stories and recipes with the butchers, while pointing animatedly to cuts of meat based on the age and gender of the animal. 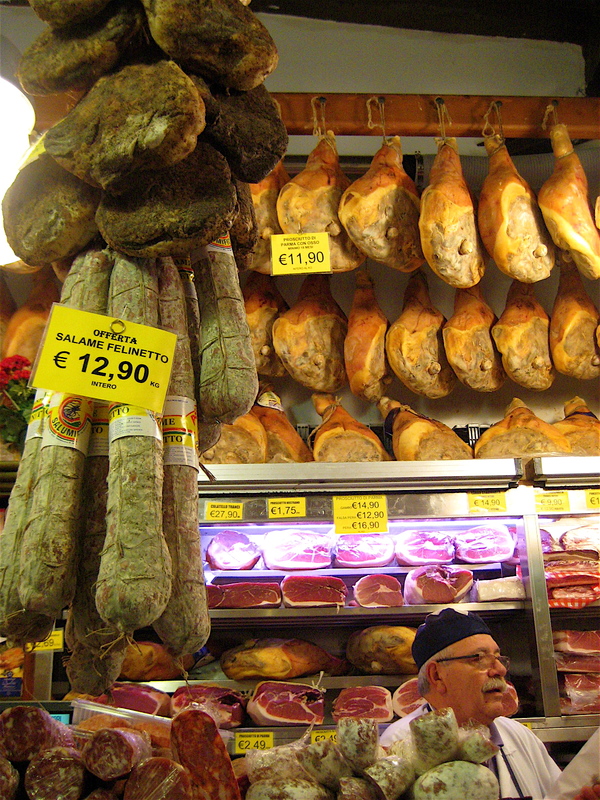 Rows and rows of freshly-cut legs of prosciutto are stacked on the shelves of each salumerie, or specialty “cold-cut” shop. Fresh vegetables stands are lined up on the side of the street, often consisting of some never-before-seen plant species. Case in point… what am I supposed to this? 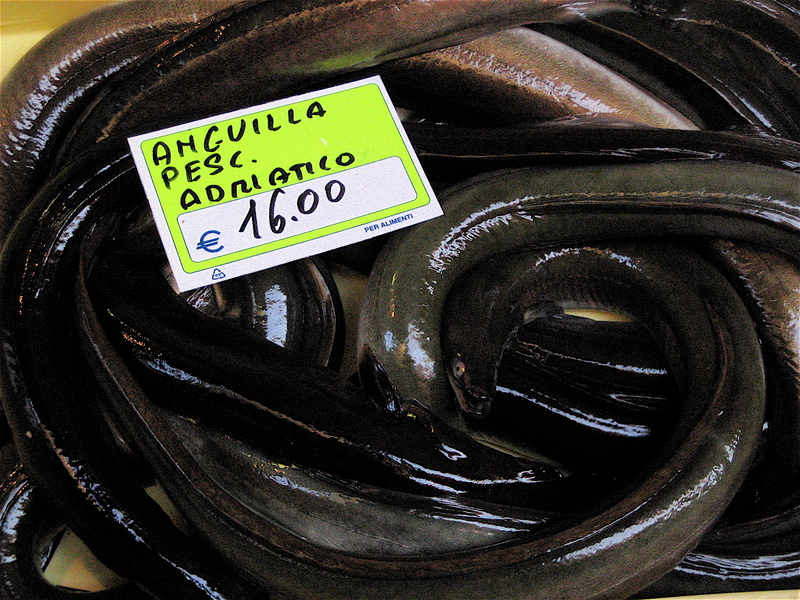 And at the fish market, how would I even begin to deal with these? In Italy, the city of Bologna is known as “la grassa” (“the fat one”) because of its fantastically fatty and flavorful cuisine. Although I’ve hardly seen anyone I’d actually consider to be fat in Bologna, I can attest to the fact that “la grassa” is indeed an appropriate nickname. Tell anyone who has lived in Bologna for a while that you had a “traditional Bolognese meal” the other night and they will smile and groan while reminiscing about the last time they had five courses of tagliatelle Bolognese, crescentina, salumi, frommagi… the rest is just a blurry haze from the onset of food coma. 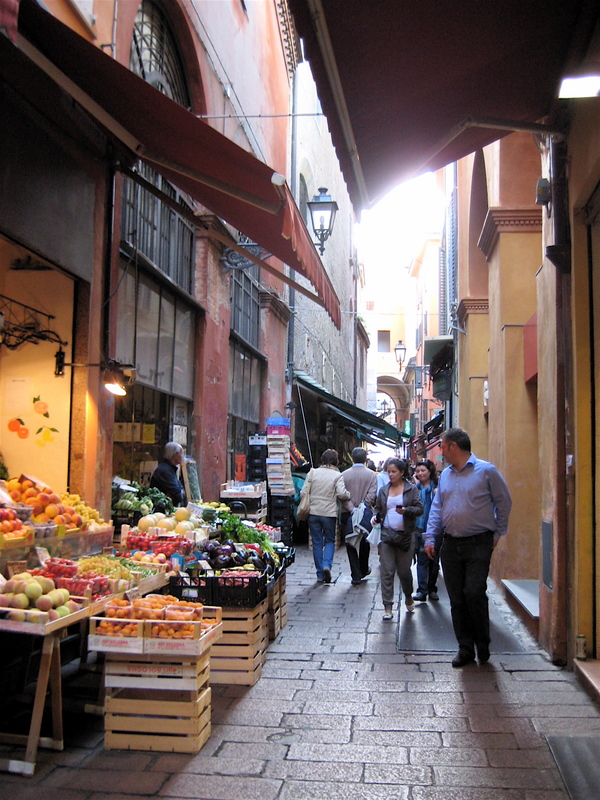 Food, good company, and the leisurely pace at which you eat, make each meal in Bologna memorable. 1) The food is simple, satisfying, and amazing. 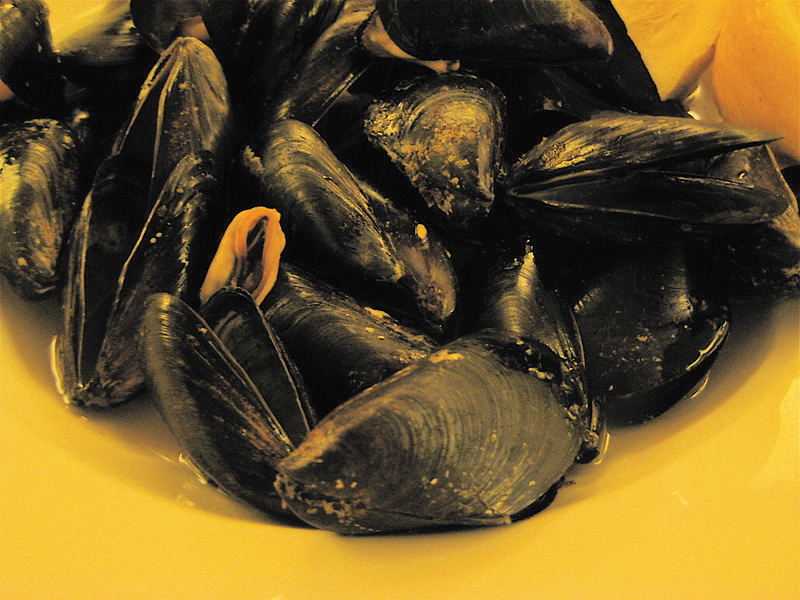 Case in point, pepata di cozze from the Ristorante Pizzeria Il Saraceno. Via Calcavinazzi, 2, 40121 Bologna. This dish is made with the freshest, most tender mussels, pepper, some wine, and lemons on the side for some acidity. 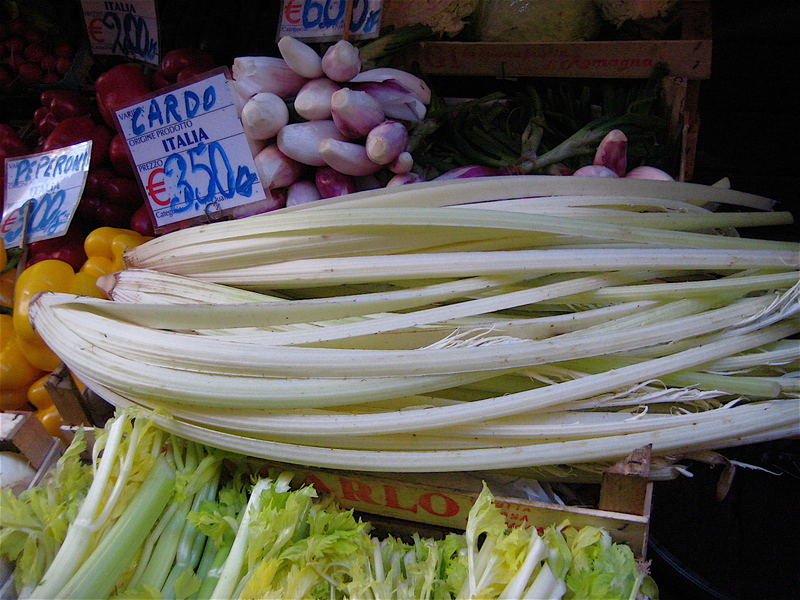 2) Ingredients are fresh and easily accessible at local markets. Via Pescherie Vecchie features beautiful specialty food shops with large cuts of prosciutto hanging in the window, fresh cheeses still submerged in water, fresh pasta lightly dusted with flour sitting in wooden trays, and a variety of dried spices on the shelves. There are market stalls with fresh produce and fresh fish every morning. The fishmongers sell all kinds of seafood from langoustines to mackerels to squid. 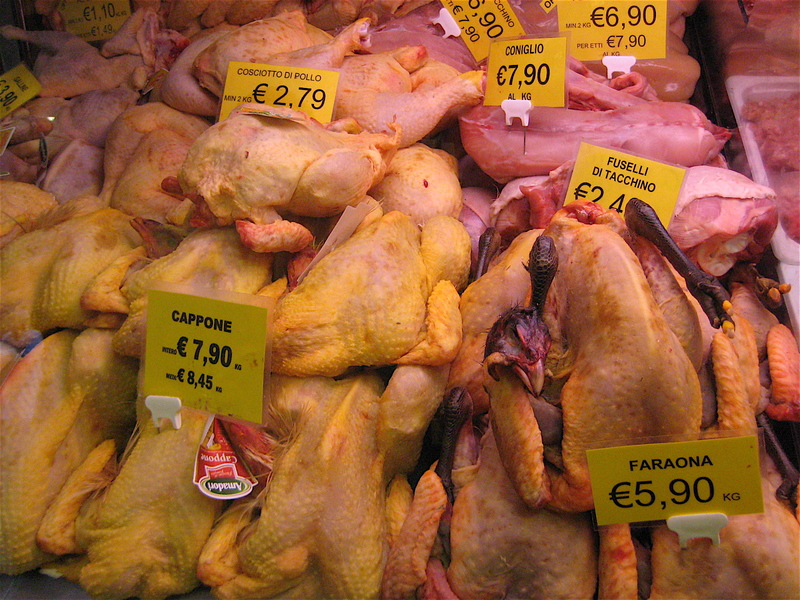 Butcher shops offer cuts of meat, whole chickens, pigs, and beef. 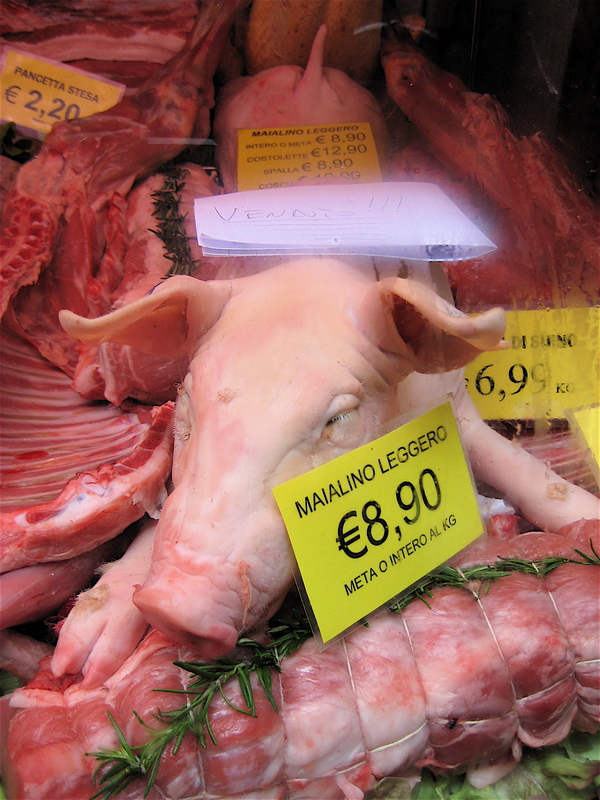 If you’re wondering what the white piece of paper on the pig’s head is in the photo, it is a sign telling all prospective buyers that they’re too late- it’s sold! 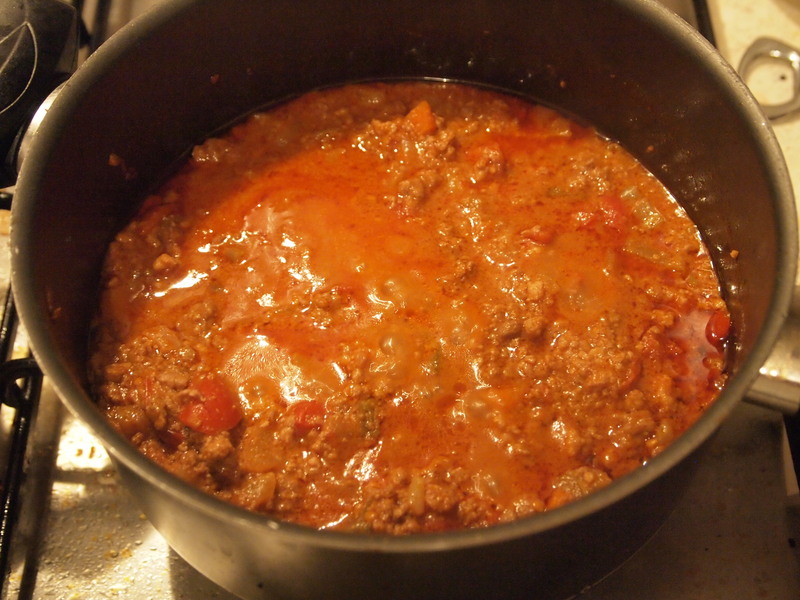 In the U.S., spaghetti bolognese consists of spaghetti with tomato sauce and ground beef. During my few weeks in Bologna so far, I’ve tried many versions of the original ragu bolognese, city’s most prized and well-known sauce. 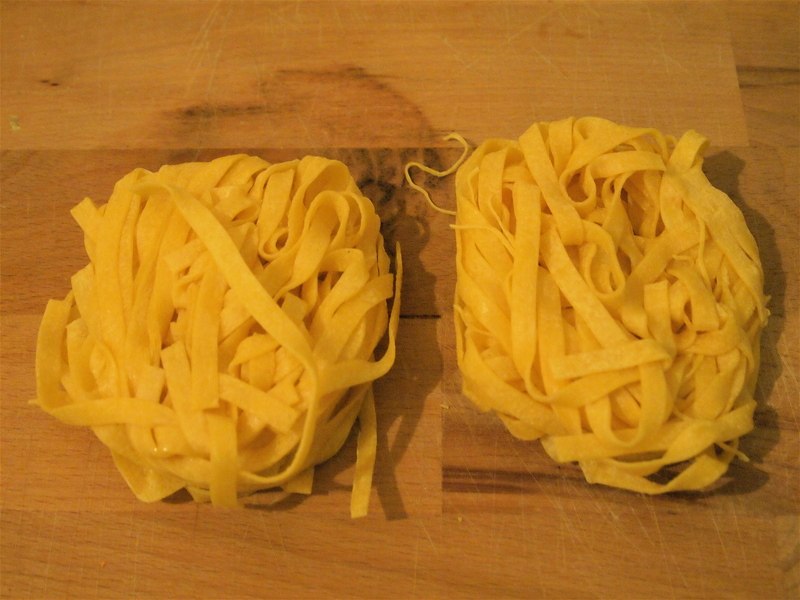 Instead of spaghetti, it is served with fresh tagliatelle— long, ribbon-shaped pasta that is made with flour and eggs. 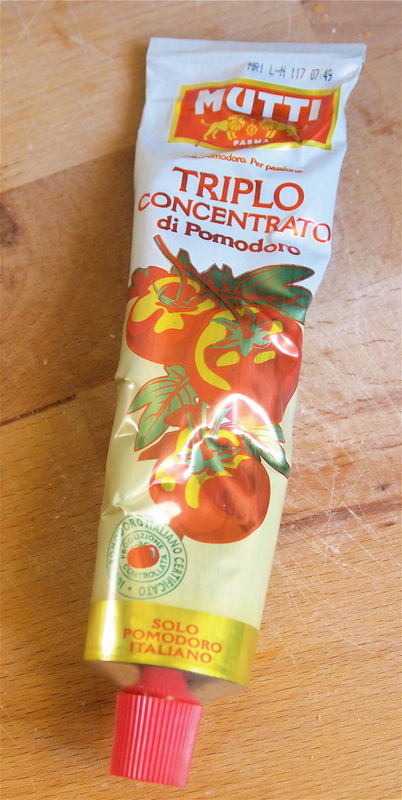 Since it is freshly-made, the pasta is especially porous which makes it ideal for soaking up delicious, rich sauces. 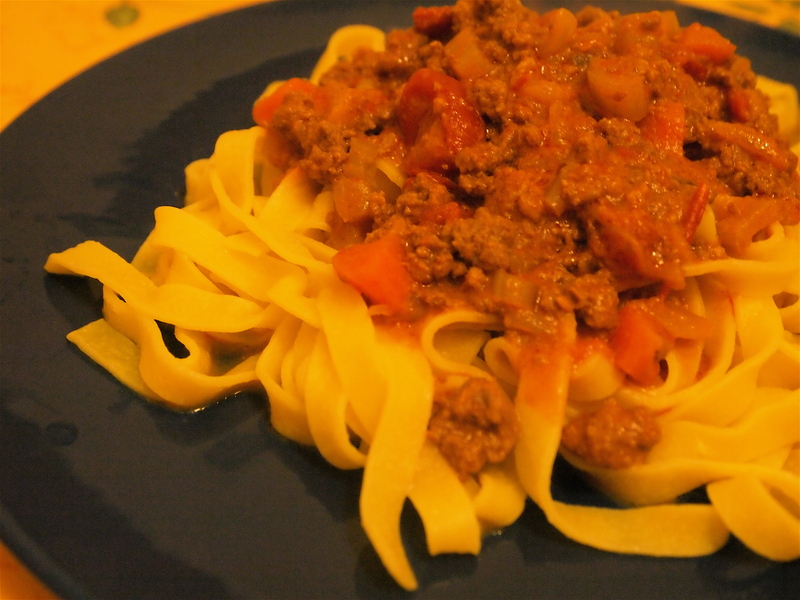 I had tagliatelle alla bolognese at Da Silvio, a fantastic restaurant down the street from me, and had cravings for bolognese sauce for the rest of the week. I finally broke down and decided to find a recipe for the dish, and make it myself. After all, I had access to fresh ingredients and the official recipe developed by the Italian Academy of Cuisine Association and the Brotherhood of the Tortellino back in the 70s, filed with the Bologna Chamber of Commerce. This is definitely not a low-fat recipe so beware… but it is pretty amazing. I made some slight modifications to the original recipe to make measurement conversions easier. Just make sure that you are not ravenously hungry when you make this, because it is best after two or more hours of simmering. 1. Brown the pancetta in the pan. 2. 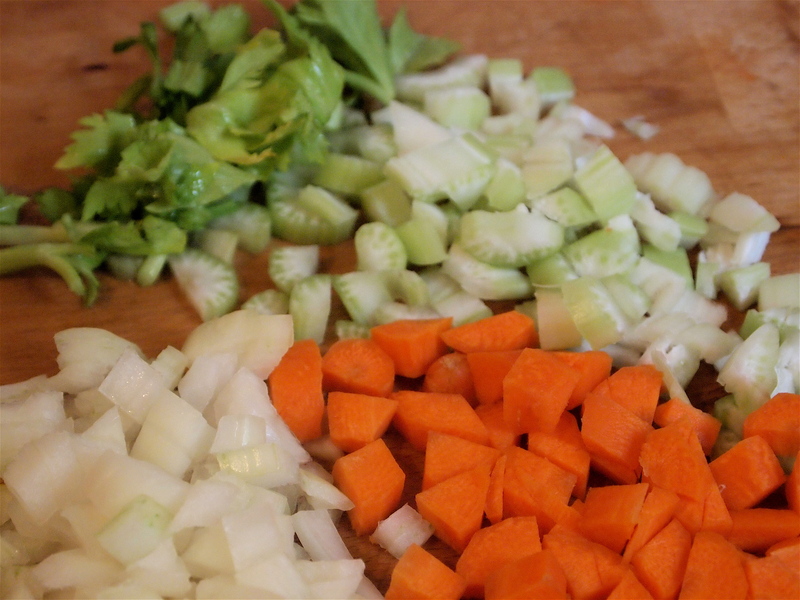 Add the chopped vegetables and cook until translucent. 3. 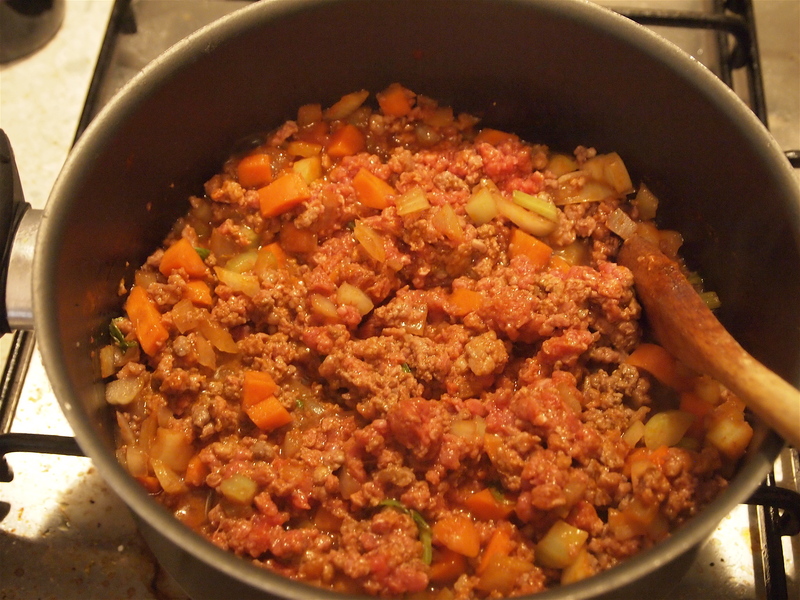 Add the ground beef and stir until meat is browned. Add about one teaspoon of salt. 4. Add the wine, a little stock, and the tomato paste. I also added a cup of canned whole tomatoes that I broke apart, because I like more tomato in my sauce, though it is not in the original recipe. 5. 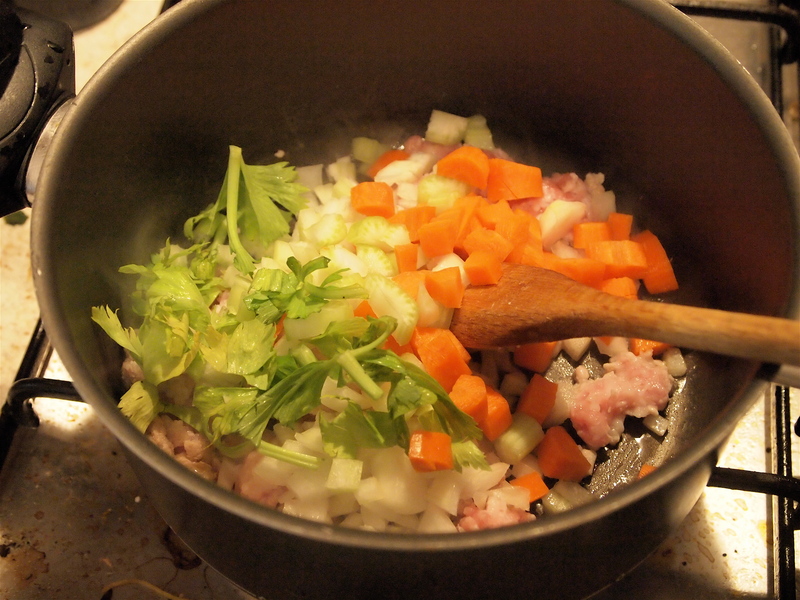 Let the mixture simmer over medium-low heat for at least two hours, adding the milk and broth as the mixture thickens. Add salt as needed. (I also added a half teaspoon of sugar because I wanted to) The longer it simmers, the more flavorful the sauce will be. By this point, the sauce should be very smooth and should blend together nicely. 6. When the sauce is about 20 minutes from being done, cook the pasta. Fresh pasta should only take a few minutes before it is al-dente. When it is done, drain the pasta. 7. 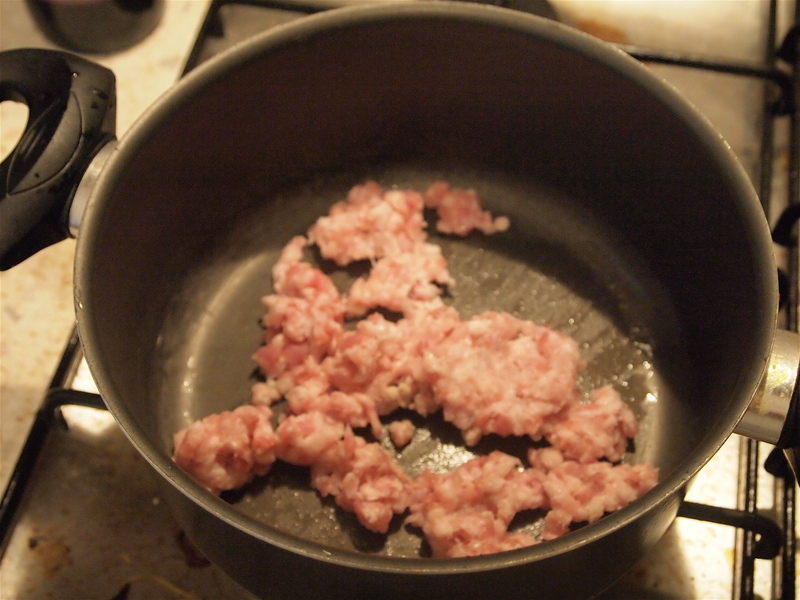 Add the cooked pasta to a saucepan and toss with some butter. Add your preferred amount of sauce. 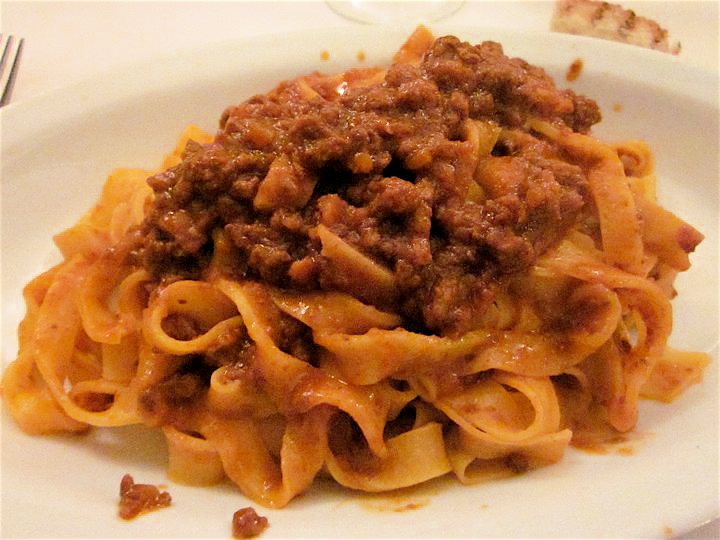 Although the original recipe does not detail this last part, all restaurants in Bologna actually mix the bolognese sauce with the pasta in a separate saucepan so the sauce is spread evenly and absorbed by the pasta. It is absolutely delicious, so I would recommend it!